Jameson Inns Winder offers the most value for your money when staying for business, pleasure, or just passing through. We are located off South Broad Street. We are near to local attractions such as Barrow County Museum, Lanier Technical College, and Fort Yargo State Park. 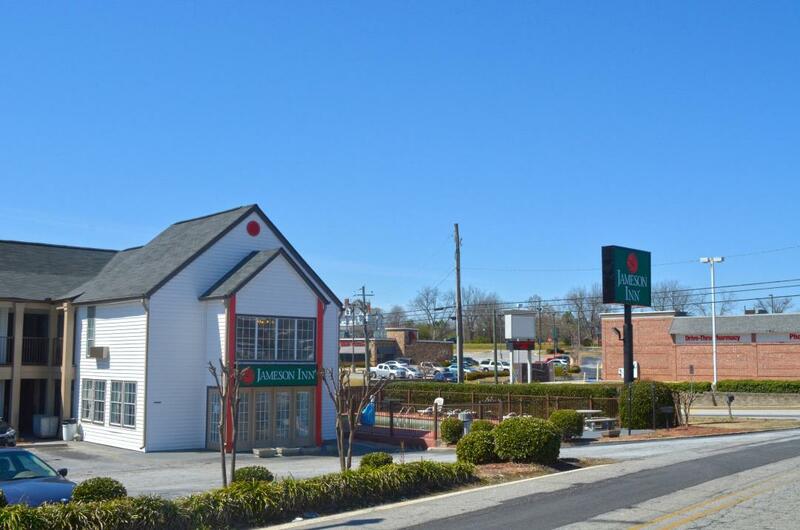 We offer ideal accommodations and location whether you are in town for vacation, business, or simply passing through on your way to South Carolina or Alabama. We are a AAA 2-Diamond hotel with clean spacious rooms, free continental breakfast, a meeting facility, and free Wi-Fi throughout the property. Enjoy a swim in our outdoor pool (open May 1 to September 30th). 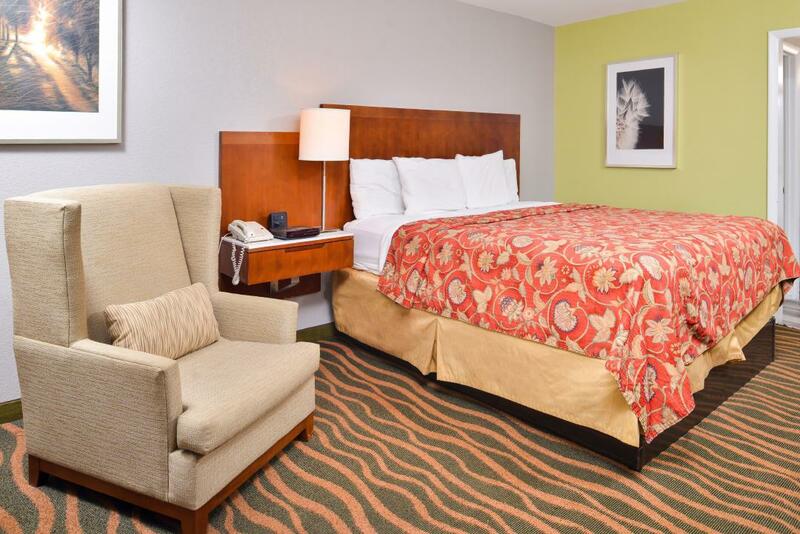 All guest rooms include coffeemaker, hairdryer, cable TV, ESPN, and Showtime.Take advantage of our extremely comfortable beds and relax while saving money year-round with our Kids Stay Free Policy (16 and under in parent's room). For your convenience our hotel offers both smoking and non-smoking rooms. Pets are welcome, restrictions and charges apply. Apple Grill Buffet, 0.3 mi. Little Italy Pizzeria, 0.3 mi. Smokin Po Boys BBQ, 0.3 mi. Inoko Japanese Steakhouse, 0.4 mi. El Centinela Mexican Restaurant, 0.6 mi. Mistico Mex Mex Bar & Grill, 1.6 mi. Check out these Winder attractions during your stay. Winder Cultural Arts Center, 0.3 mi. A Touch of Eden Salon and Spa, 0.4 mi. Luxury Nail Spa, 0.5 mi. Piedmont Regional Library, 0.8 mi. Holly Hill Mall, 1.1 mi. Winder Game Room, 1.5 mi. The Chimneys Golf Course, 2.9 mi. Pine Hills Golf Club, 3.9 mi. Stars and Strikes Family Entertainment Center, 14.4 mi. Georgia Square Mall, 16.6 mi. Sun City Tanning, 19.2 mi. Sandy Creek Nature Center, 24 mi. Youthtopia Med Spa, 37.9 mi. Barrow County Museum, 0.3 mi. Fort Yargo State Park, 0.7 mi. Chateau Elan Winery, 11 mi. Crawford W. Long Museum, 13.6 mi. Road Atlanta Raceway, 15.3 mi. Malibu Grand Prix, 30.6 mi. The North Atlanta Trade Center, 31 mi. Stone Mountain Park, 34.2 mi. Comfortable guest room with 1 King Bed. Non-Smoking. 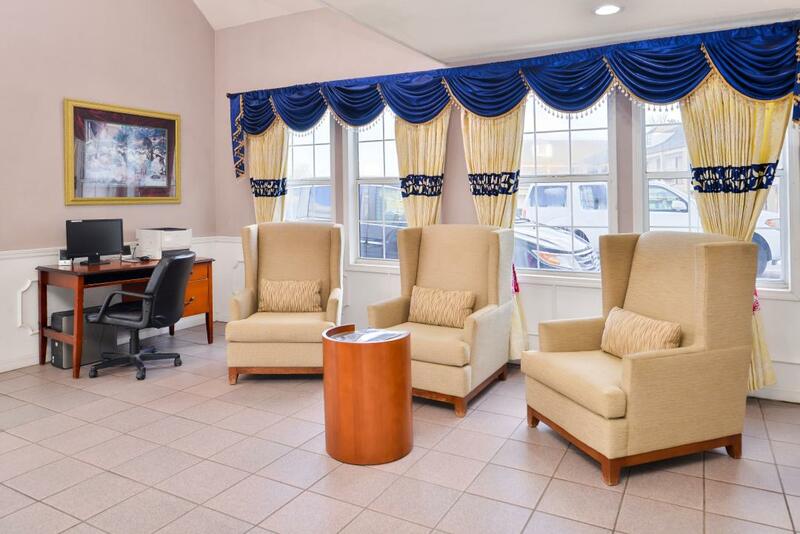 Amenities include free high-speed wireless Internet access, hairdryer, cable TV, ESPN, Showtime, desk with lamp, alarm clock radio, free local calls, and wake-up service. Free continental breakfast is included. Comfortable guest room with 1 King Bed. Smoking Permitted. 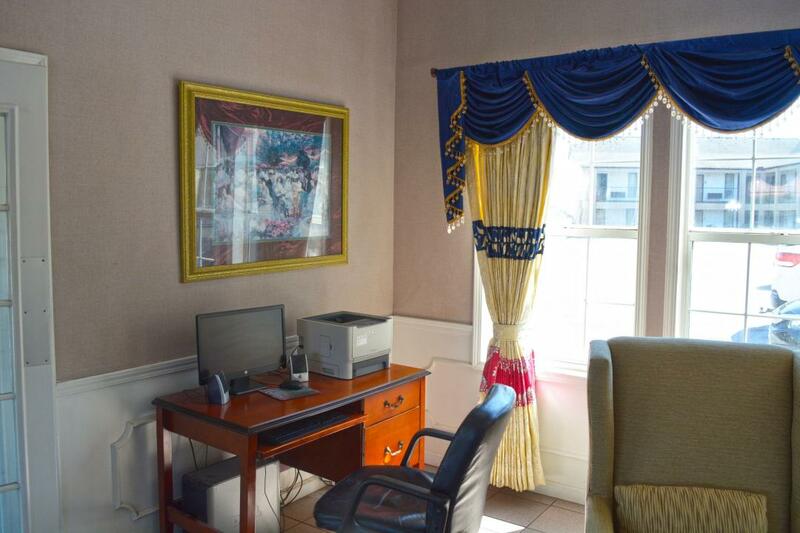 Amenities include free high-speed wireless Internet access, hairdryer, cable TV, ESPN, Showtime, desk with lamp, alarm clock radio, free local calls, and wake-up service. Free continental breakfast is included. Comfortable guest room with 2 Double Beds. Non-Smoking. Amenities include free high-speed wireless Internet access, microwave, mini-fridge, coffeemaker, hairdryer, cable TV, ESPN, Showtime, desk with lamp, alarm clock radio, free local calls, and wake-up service. Free continental breakfast is included. Comfortable guest room with 2 Double Beds. Smoking Permitted. 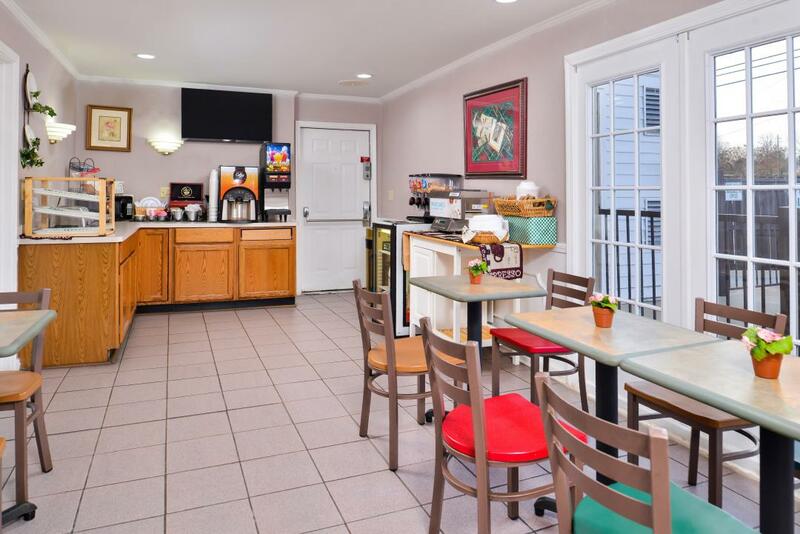 Amenities include free high-speed wireless Internet access, microwave, mini-fridge, coffeemaker, hairdryer, cable TV, ESPN, Showtime, desk with lamp, alarm clock radio, free local calls, and wake-up service. Free continental breakfast is included.